Sammy Hagar will be joined by Bob Weir and Mickey Hart of the Grateful Dead in the next episode of his new AXS TV series Rock & Roll Road Trip. Hagar is sharing a preview of his trip to San Francisco to hook up, talk music and jam with the pair of rock icons – including a run through the Grateful Dead classic "Loose Lucy." His 6-episode series sees the Red Rocker drive across the country to jam with some of music's biggest names, including Heart’s Ann and Nancy Wilson, Alice Cooper and Alice In Chains guitarist Jerry Cantrell. The opening program saw Hagar connect with Chickenfoot bandmate Michael Anthony to share memeories of the Sunset Strip and to jam a Montrose classic with Motley Crue drummer Tommy Lee. 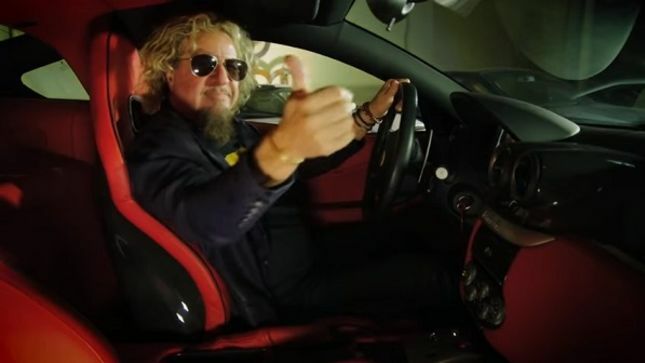 The project sees the Red Rocker alongside Anthony, drummer Jason Bonham and guitarist Vic Johnson to perform tunes by Van Halen, Montrose, Led Zeppelin and solo tracks.